These are all labeled, so they should be pretty easy to identify. They're not actually to scale, by the way. 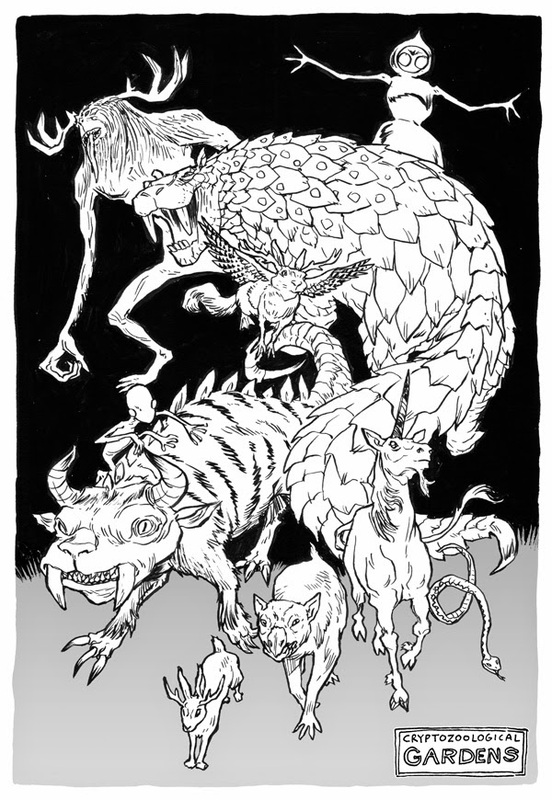 This batch includes the wendigo, Flatwoods monster, dingonek, wolpertinger, Dover demon, hodak, jackalope, Montauk monster, unicorn, and hoopsnake. 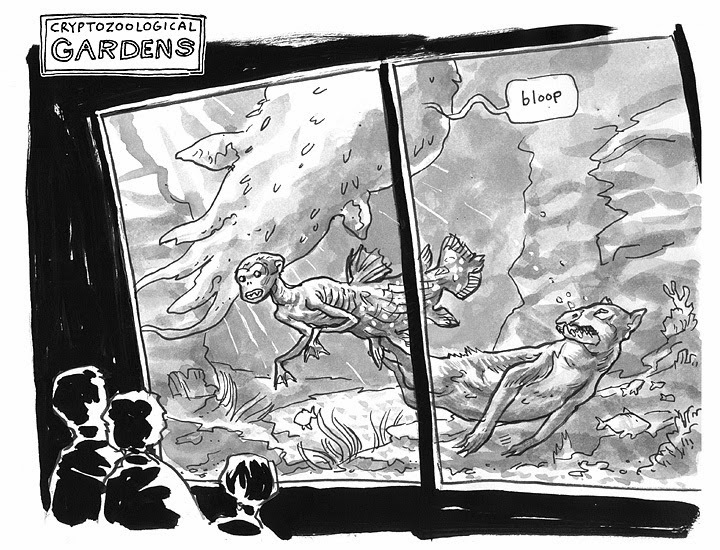 And here's one of my Inktober illustrations showing the Montauk monster, feejee mermaid, and globster cavorting in the crypto-aquarium. 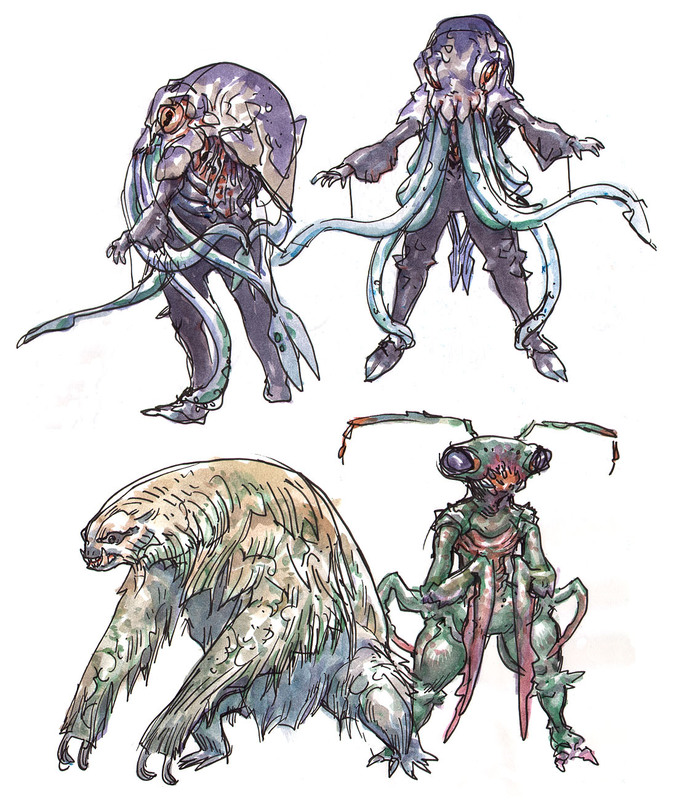 So yes, those are kaiju-style giant squid, sloth, and mantis costumes. You're welcome. 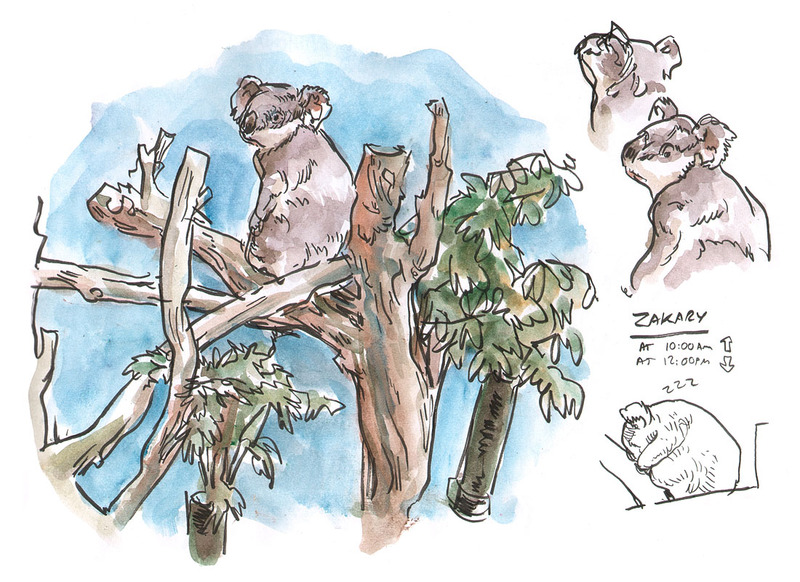 The 10:00 AM feeding seems to be your best chance to see the koalas awake. I came back a couple hours later, and found that Zakary had simply flopped forward and gone straight to sleep. 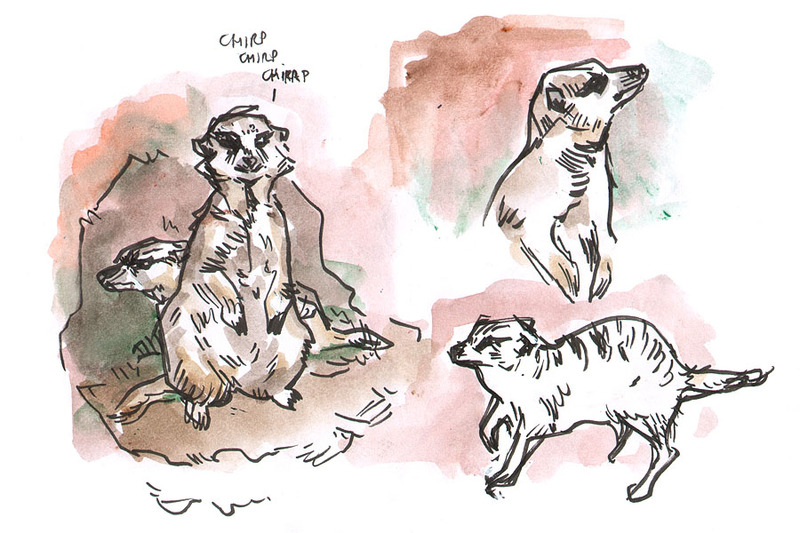 First time drawing the meerkats. They were keeping watch on me the whole time, so it was a mutual observation. 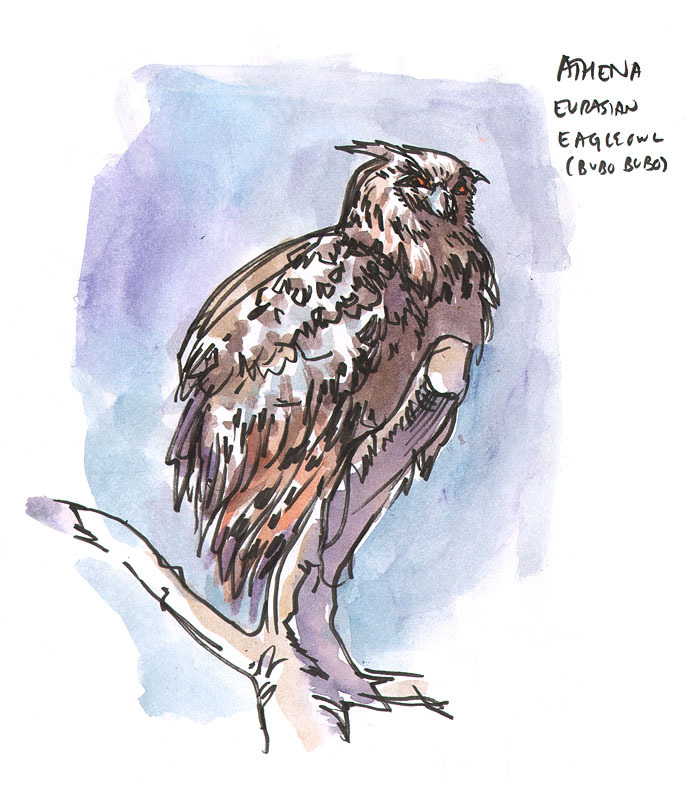 I learned that the Eurasian eagle owl, like the gorilla and the wolverine, has one of those Latin names that's the same word twice. 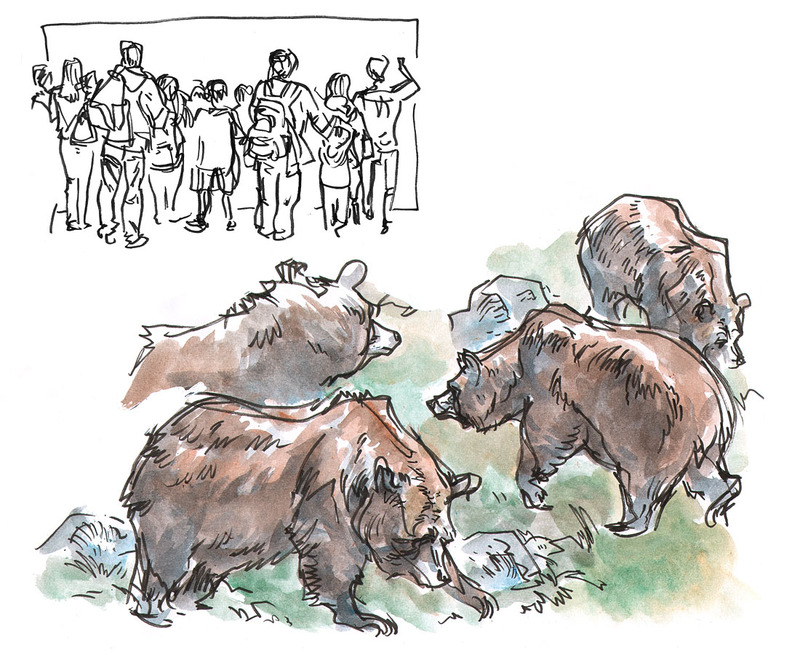 The obligatory 11:30 AM grizzly feeding frenzy. A huge crowd today, even though it was a non-free weekday. 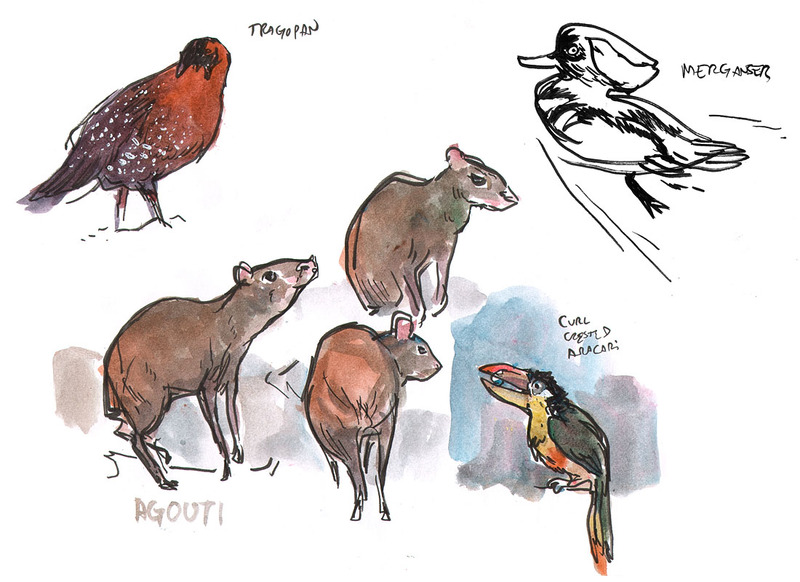 My first pass at the agoutis, which are surely the most elegant rodents I've ever seen. I'll research them a little bit and refine the likeness next time. 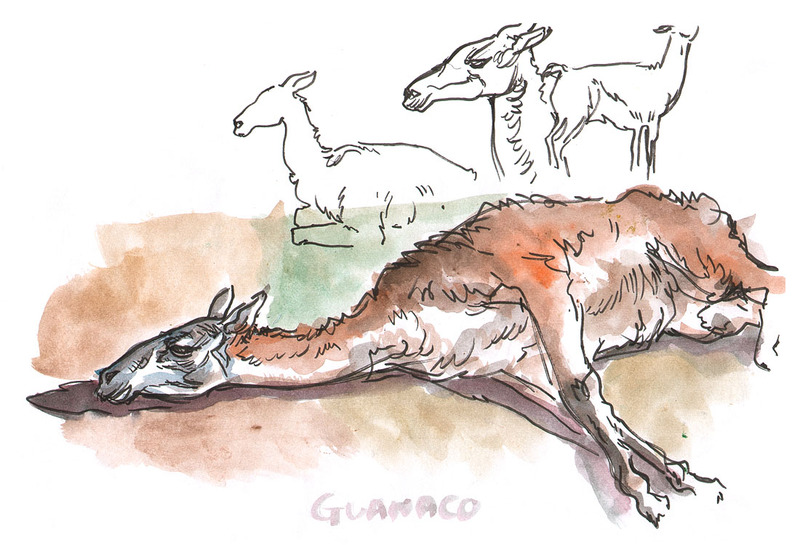 It was pretty hot today, and a lot of the animals were just napping. The regular flamingo chick check. They're getting bigger and darker, but not yet pink. 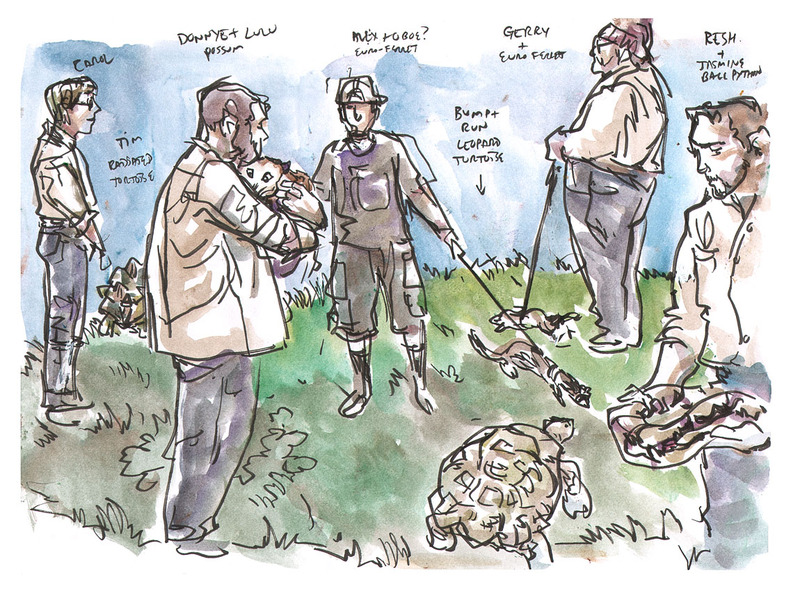 2:00 PM is time for the spectacular Animal Encounter in the children's zoo - a must-see for artists! 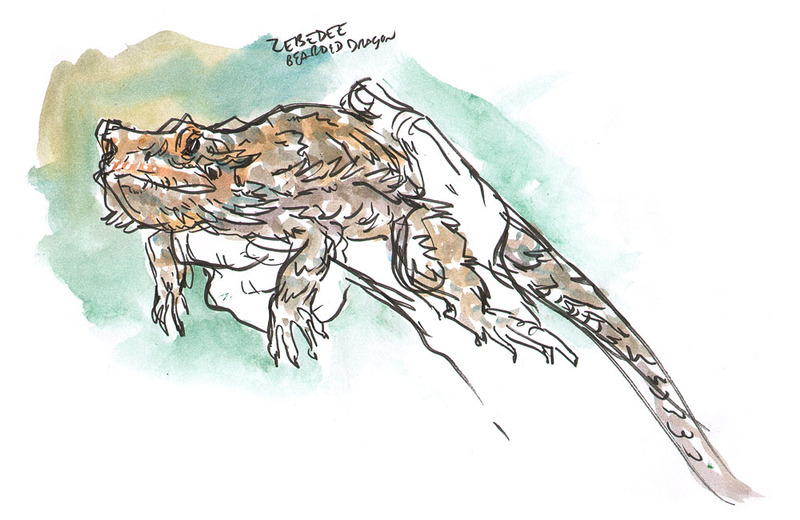 This is the first time I've seen a bearded dragon up close. 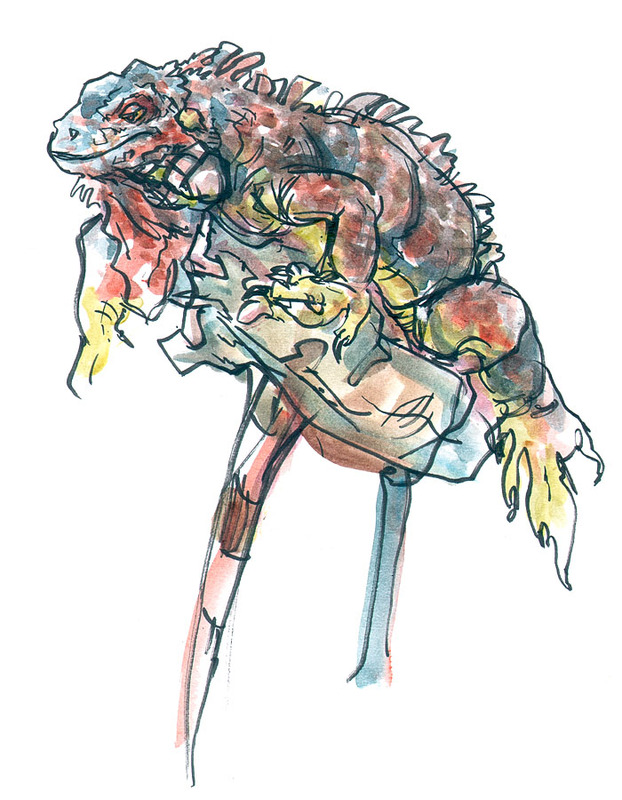 There was also a common green iguana. 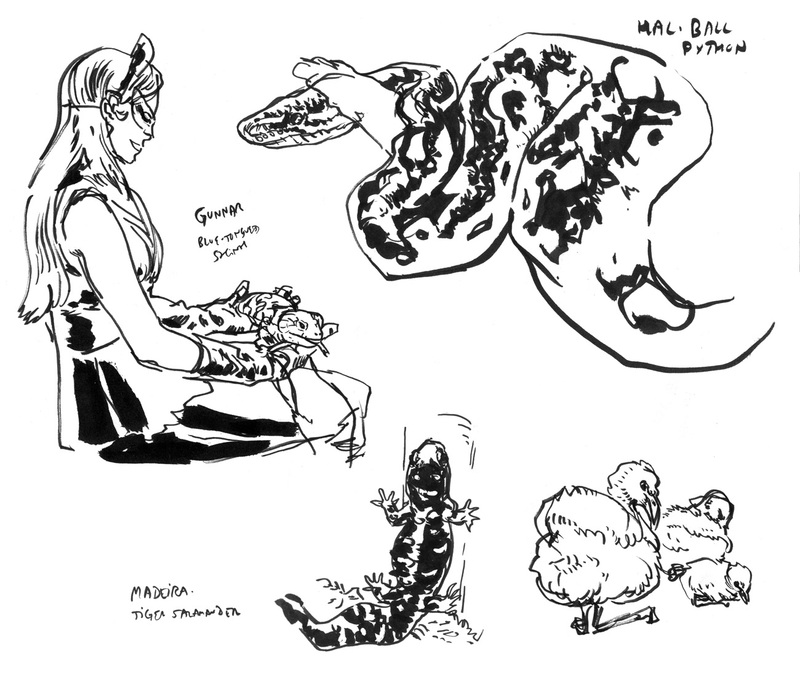 I drew this one a few weeks back but never posted it on this blog, so let's have a sketchbook flashback! They brought out tons of critters for the Animal Encounter today. 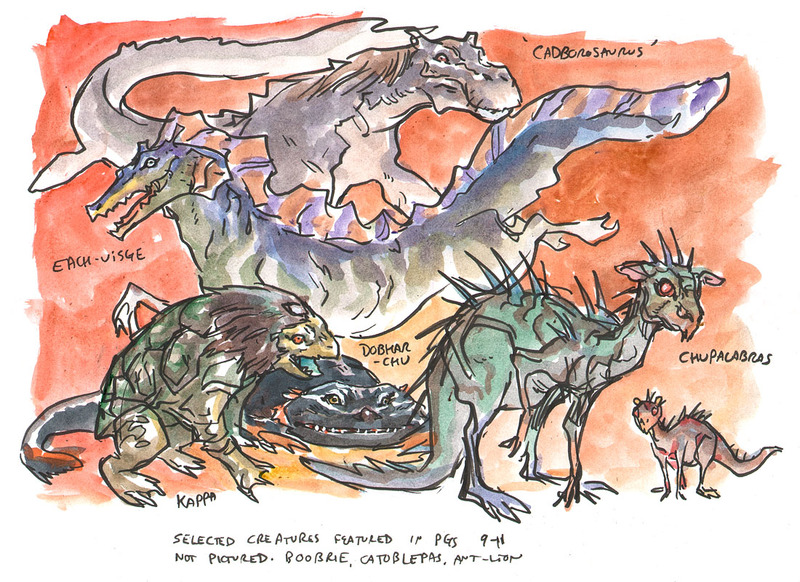 I was so spoiled for choice I couldn't decide which to draw, so I just did them all. The 3:00 PM Aye-Aye tour. It wasn't easy drawing in a room so dark you can't see the paper! As with the agoutis, I might do some research and then try this again. 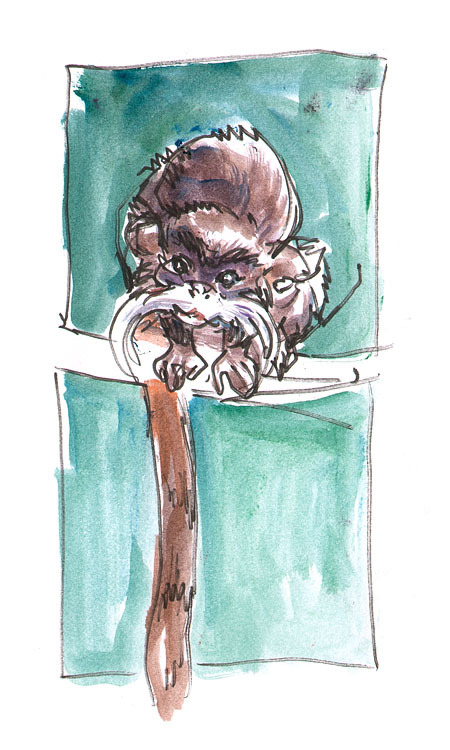 It's often hard to see the emperor tamarins, but it turns out that the glare on the window goes away by 4:00 PM, so we could get a good look at each other. This little guy seemed quite fascinated by my colorful paint set. 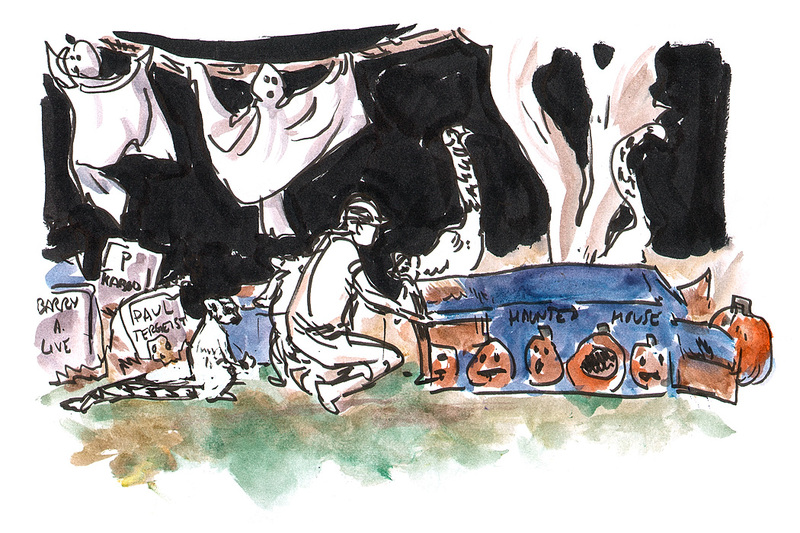 A few sketches from the annual Halloween festivities at the San Francisco Zoo. I was showing friends around, so the sketching is going to be a bit minimalist this time. A lot of the animals received Halloween-themed enrichments. 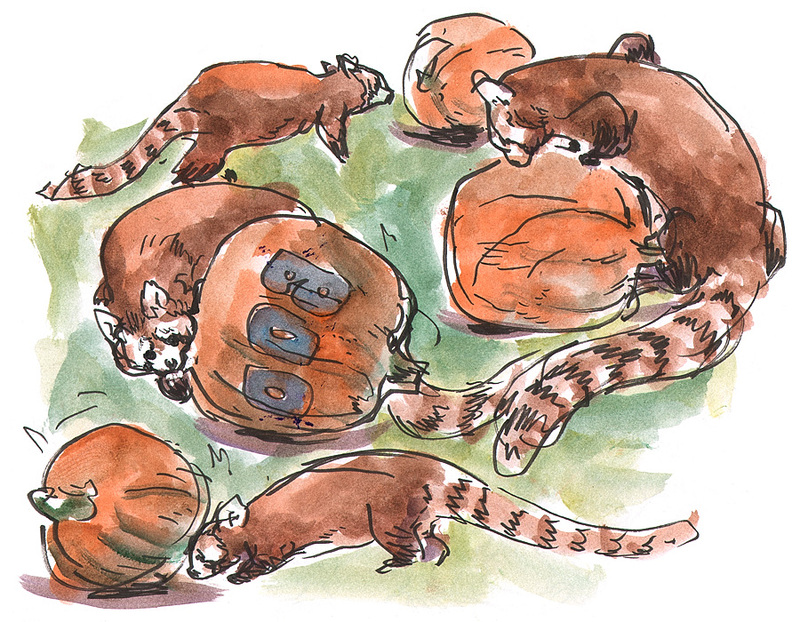 Here's Tenzing the red panda getting to grips with his pumpkin. The Haunted Nature Trail was not to be missed, with costumed volunteers and spooky decorations aplenty! 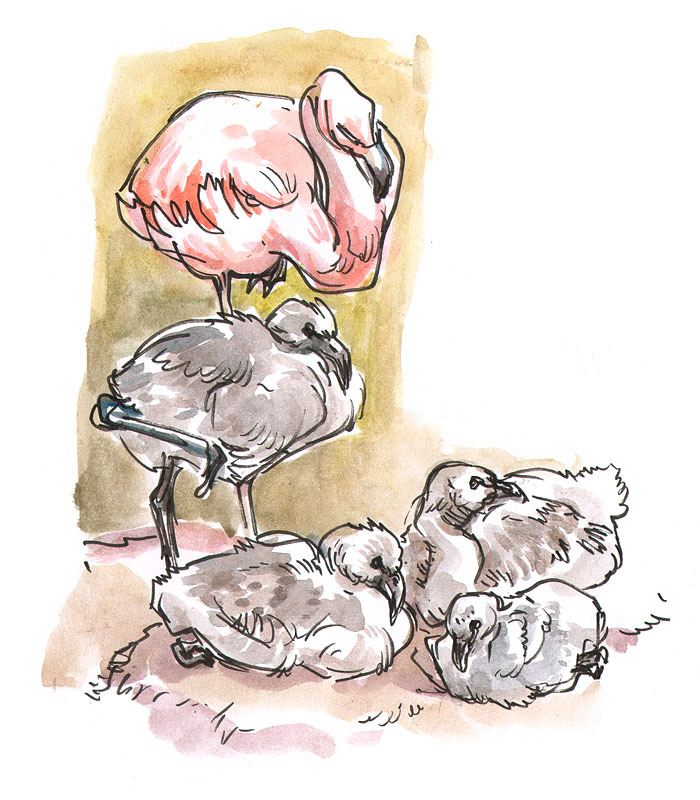 I also checked in on the status of the flamingo chicks. 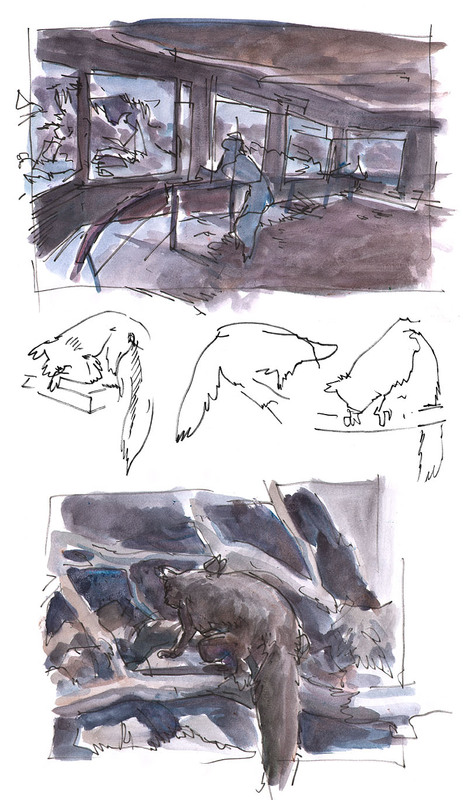 The lemurs had an entire haunted house installation, with gravestones and bedsheet ghosts. 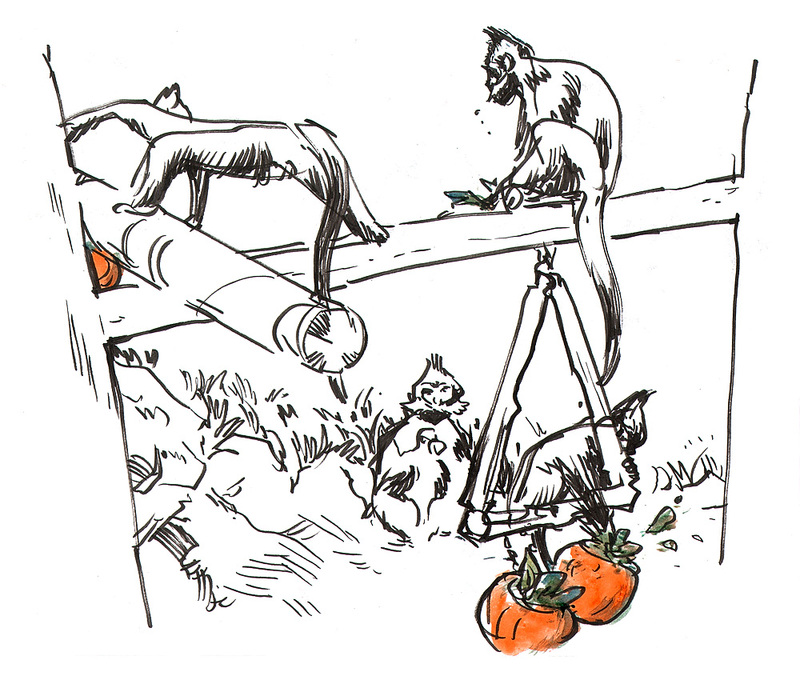 The langurs dig into their Halloween treat buckets. 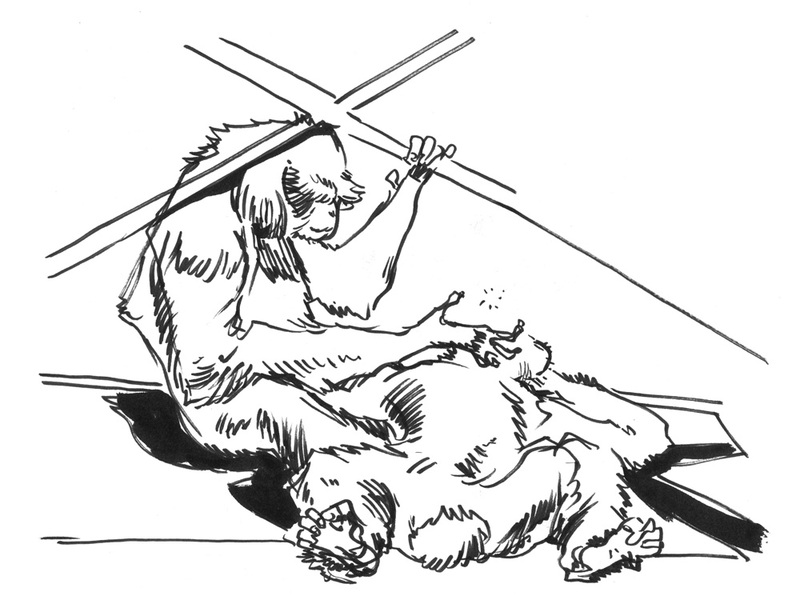 Siamangs grooming each other as they laze in the sun. 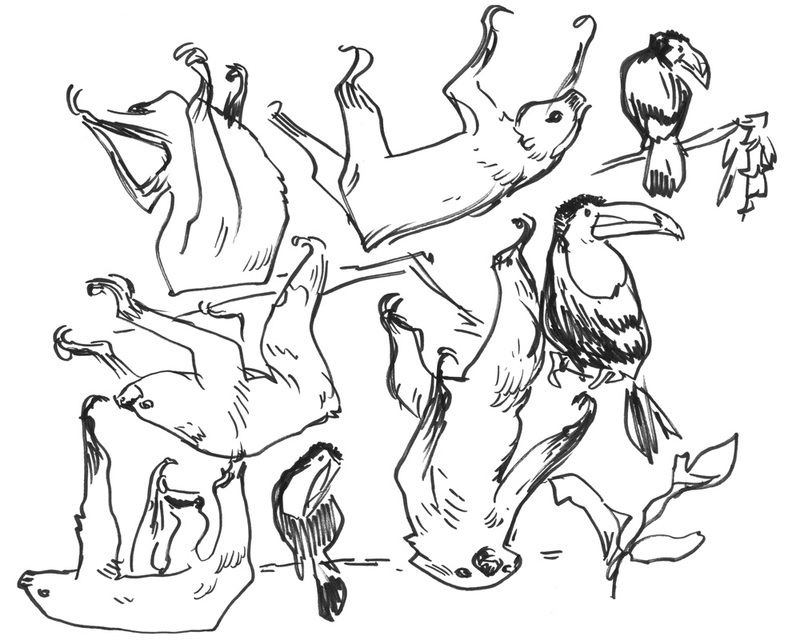 A medley of two-toed sloth action from the adorable Moony and his toucan buddy. 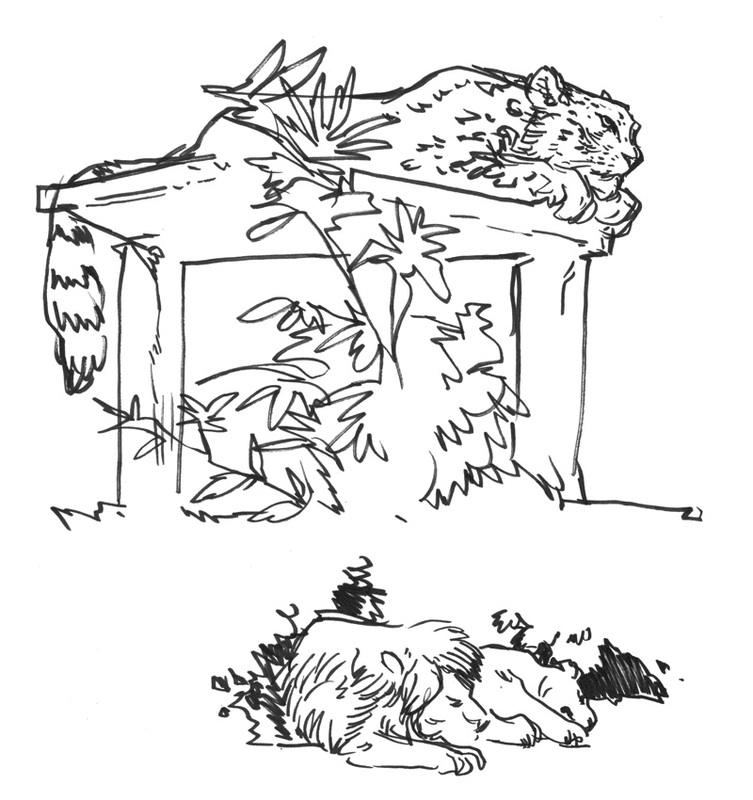 A couple of lazy big cats - snow leopard and lions.